The 2019 academic year has begun with great purpose as we come together as One College. 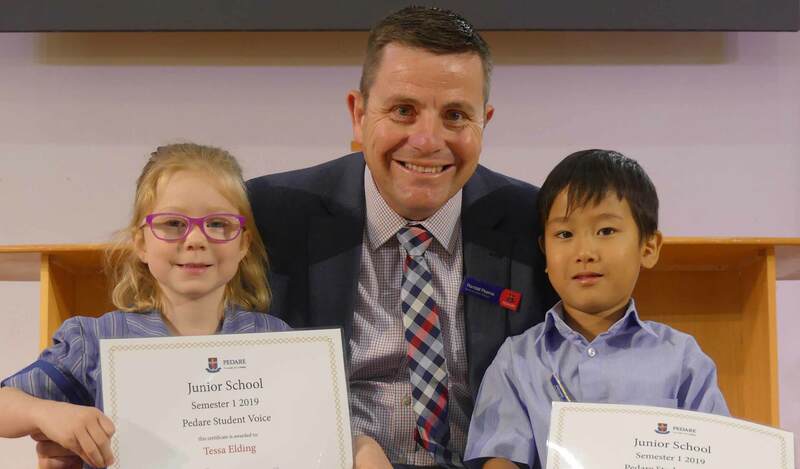 The Junior School students have been warmly welcomed to the campus. I have been very impressed with the positive approach of all Junior students and teachers to the changes and the temporary relocations. The students can see the final phase of the buildings happening before their eyes. They are particularly keen to see the final stages of the playgrounds being completed. 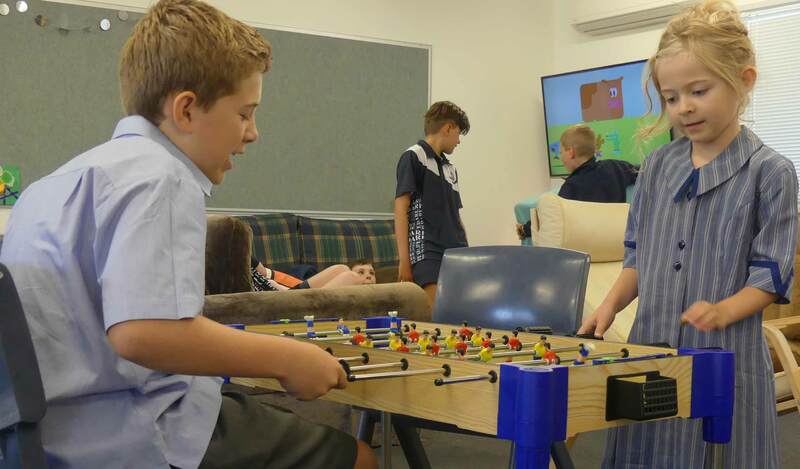 The Middle and Senior School students are managing the changes to their room locations successfully and they are fully appreciative this is only a temporary matter and the whole of the Middle School will move into the wonderful new building in Term 2. 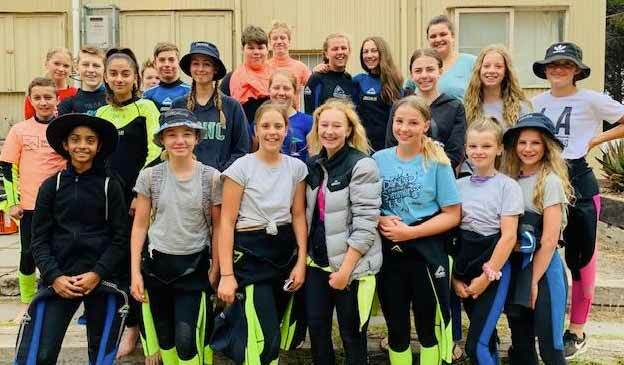 The activities that mark the early weeks of each year are well underway with planning for the swimming and the associated carnivals having priority for the Communities. 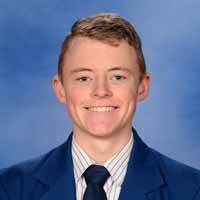 Jackson Mickley: Merits in Physics, Specialist Mathematics, and Mathematical Methods. 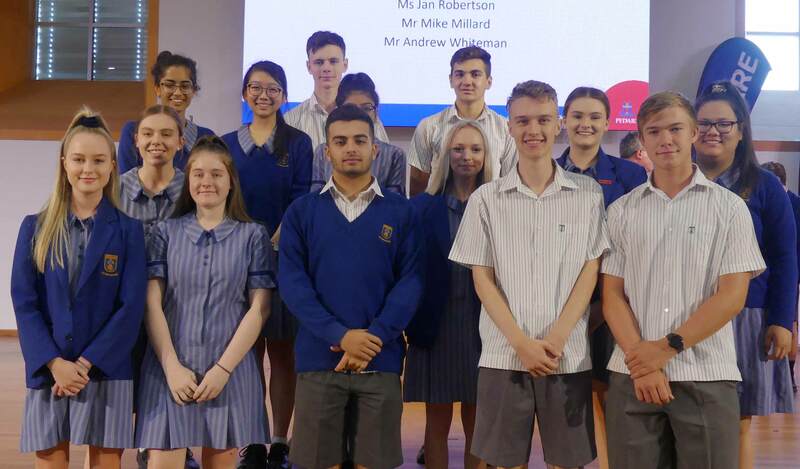 In addition, the College community celebrated the success of all Year 12s at our annual Achievement Assembly. 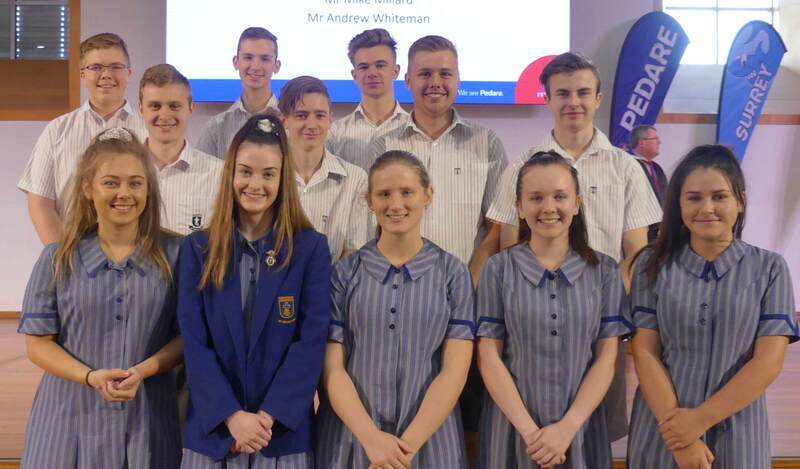 We celebrate the success of all students who join the 90+ ATAR club. 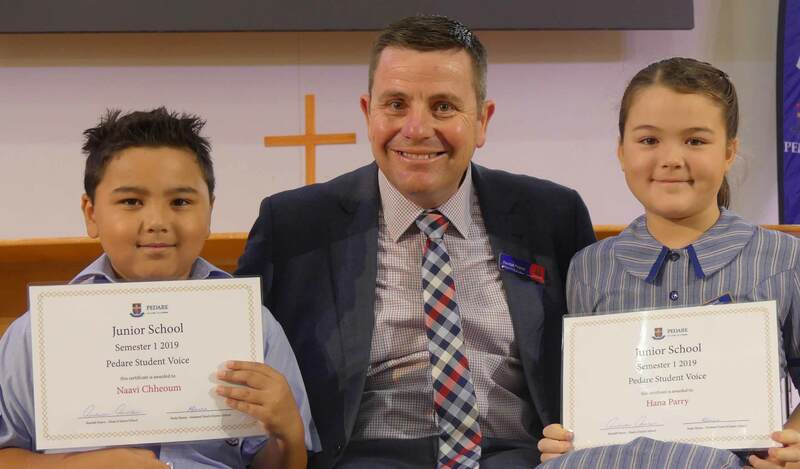 The powerful message from this assembly is that younger Pedare students are inspired to achieve at similar levels as they work towards their own SACE completion. 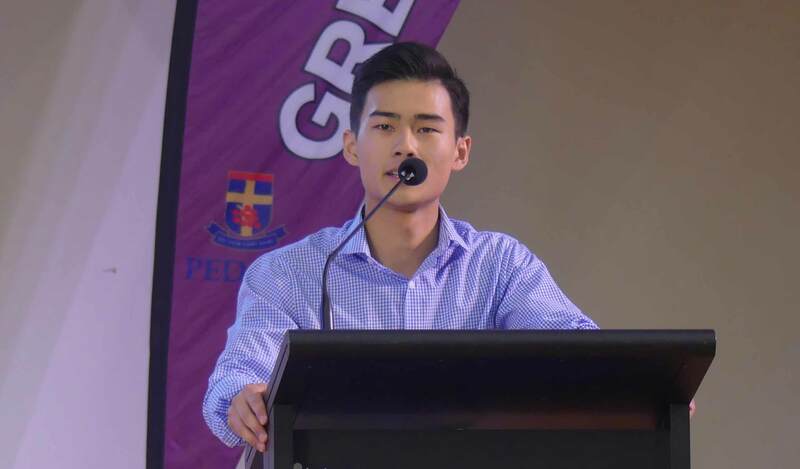 The College was also very pleased that Judah Tan was selected by the SACE Board to present the reflection on behalf of all Year 12 students at the Government House Ceremony. This is a significant honour. 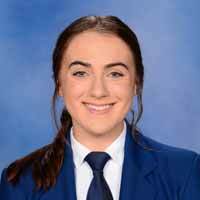 Judah spoke with humility and gratitude and gave thanks for all the support the Year 12s received from their parents, teachers and school communities. 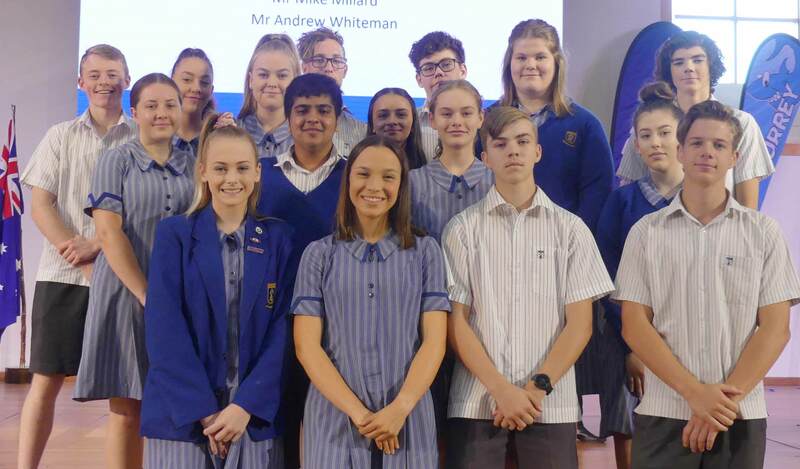 Please click here to view the 90+ club members ATAR results and Pathways. The Junior School classrooms are nearing completion with all painting and carpeting completed. The last part of the joinery final fix and plumbing to bathrooms are being attended to. The Sports Centre floor has been line marked and sealed ready for the final application of the last sections of wall panels. The stick playground for Year 3-5 students is erected and the final external walling has been poured. The Reception to Year 2 playground is well underway with the play equipment having been concreted into the ground and the retaining walls poured. Soft fall paths and the nature logs are yet to be added. The Middle School is progressing with final external cladding and windows almost completed. The internal areas await the final windows for the internal walls that separate the classrooms from the many breakout areas. Once these are installed, the final fix to ceilings can be completed and the painting and carpeting commenced. With the external windows in place, we can really get a feel for how impressive these beautiful new learning spaces will be. Welcome back to another school year and what promises to be a very exciting year here at Pedare Christian College. 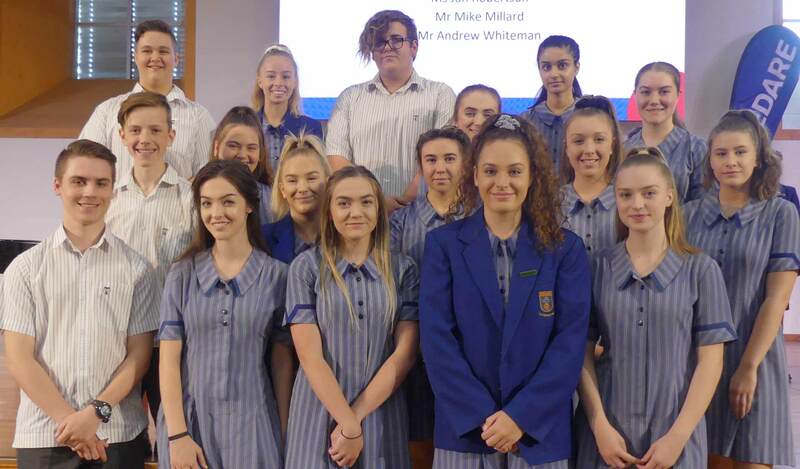 The first week of school produced much excitement and a few tired faces as Senior Students began the year on Wednesday, a day after the Reception to Year 9 students. There was a buzz in the air with the younger students buzzing around the school looking to find the ‘big kids’. I personally think the ‘big kids’ enjoyed the notoriety as they interacted and said hello to all the new children on One Campus. It was a smooth start and my main message to the students on day one was about finding the right balance in their lives. Holidays provided a chance to throw routine out the window but now it is time to get organised and into the rhythm of school very quickly. With some of the building projects yet to be completed our students are making the most of the College’s classrooms as well as more rooms in our shared facilities in One+. Our Senior Students are familiar with the One+ environment and this year we are occupying more of these rooms. 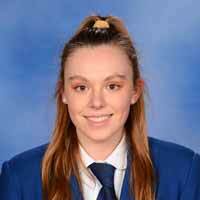 The senior students have been excellent role models for the younger students in the way they have handled being in new spaces. 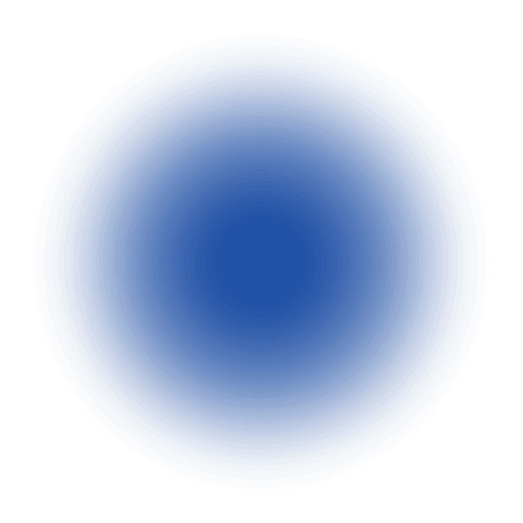 Although the Senior School has been less affected than the Middle School. there are a lot of new faces around and our students are all adjusting well. 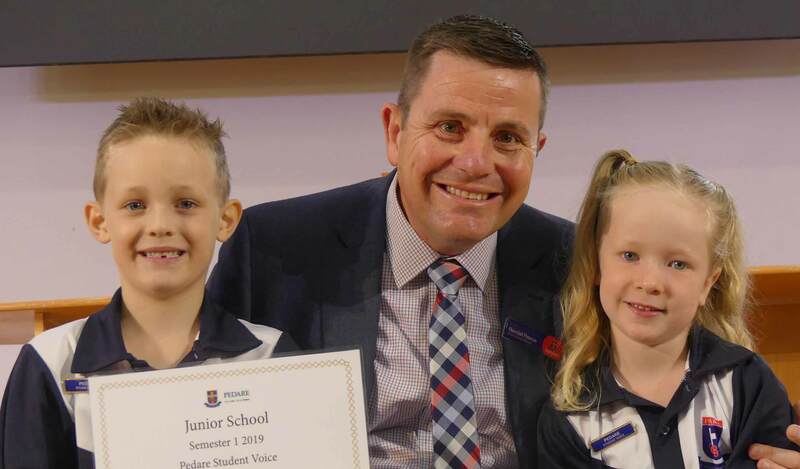 I look forward to working with each and every student and family in my new role as Deputy Principal / Head of Senior School this year. Pedare has a wonderful team of staff that are always willing to go the extra mile to help the students succeed. Please do not hesitate to contact your child’s teachers if you would like some information about how they are performing in a subject. 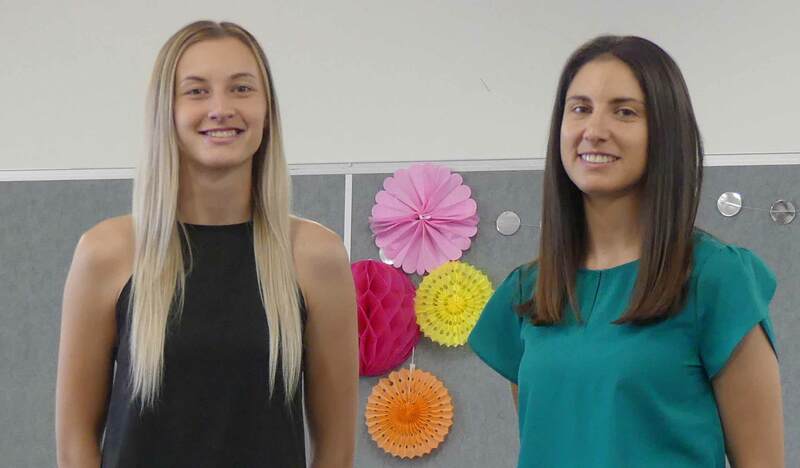 A reminder that the Parent Teacher Student Interview evening for students from Year 6 to Year 12 will be held at the College on Tuesday 2 April from 1.40pm – 8.00pm and Wednesday 10 April from 3.40pm – 7.30pm. Parents are free to book interviews on either night. The Middle and Senior School will be closed from 1.05pm on Tuesday 2nd April. Some families may prefer for students to remain at school after this time and these students will be supervised by teaching staff in dedicated study rooms until 3.15pm. We look forward to offering these new times in 2019 to try and accommodate all families over the two nights. Please look out for more information as the dates approach. We look forward to many events throughout the year and I look forward to meeting as many families as I can over the term. Please feel free to contact me at your convenience if you would like to discuss anything in relation to the College. On behalf of Pedare staff, I would like to welcome all students and families back to the 2019 school year. It was wonderful to see students settling in so well to their classes. I would like to thank the excellent team of staff who have ensured a very smooth start to the year due to meticulous preparation and planning. 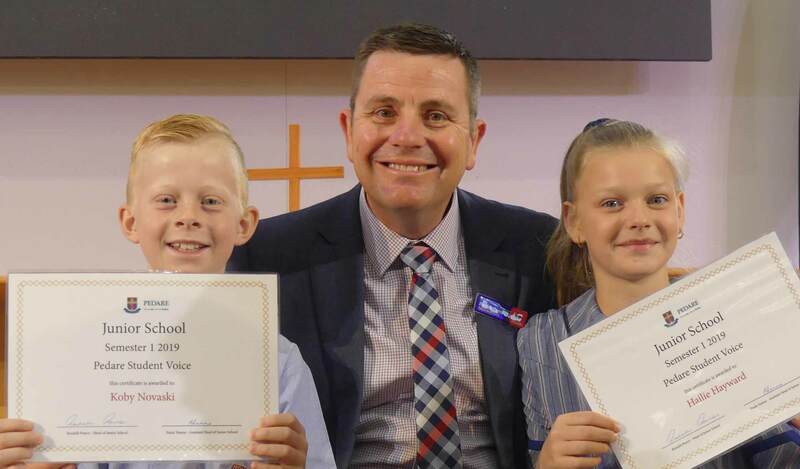 From the very start, students have been engaged in innovative and exciting lessons with their teachers and enjoyed a positive and happy atmosphere within the College. In the first few days of classes, we have been talking with students about some of the expectations and what it means to be a part of the College. We have high expectations of all of our students. Every student is important and will be cared for by our teachers. Teachers come into school each day with an open mind, continually working to support and motivate whilst encouraging students to strive to be the best version of themselves. I ask all students to arrive at school each day with a positive attitude and willing to take on the challenges their teachers set for them. Very soon, the College will offer buildings and facilities that are going to be some of the most incredible learning spaces in South Australia. The fact they are not quite ready for us now is an opportunity, rather than an obstacle. 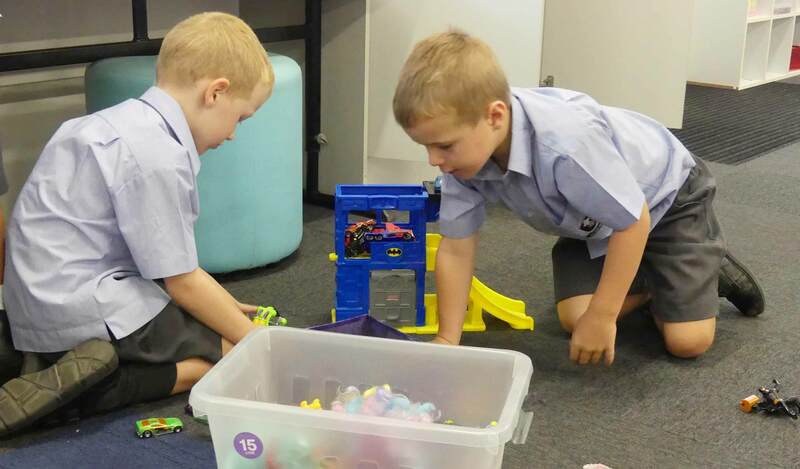 Our focus in Term 1 will be to provide learning spaces that encourage students to collaborate, create, inquire and problem-solve. In fact, these will continue as themes throughout 2019 and beyond, as we will be challenging students to think differently about their learning, looking beyond the local and into the global, encouraging critical thinkers, resilient and creative learners, unafraid to take risks. 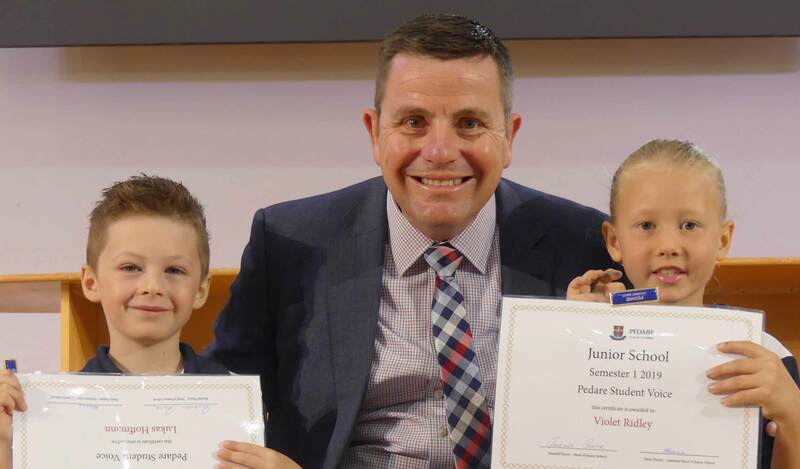 The culture of excellence at Pedare that permeates every classroom is not simply focussing on grades, but on creating a lifelong passion for learning. 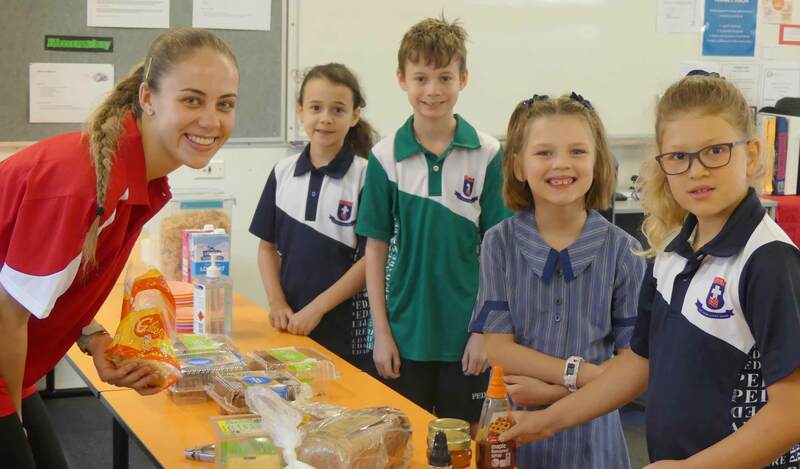 Natasha Filippi (Food Technology Teacher), Rebecca Williams (English and Drama Teacher), Nicole Callen (German Teacher) and Brandon Kowalick (Year 7 Core Teacher). 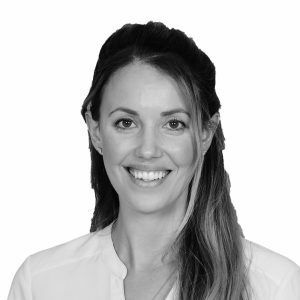 They have already made a fantastic start and we welcome them to our team. 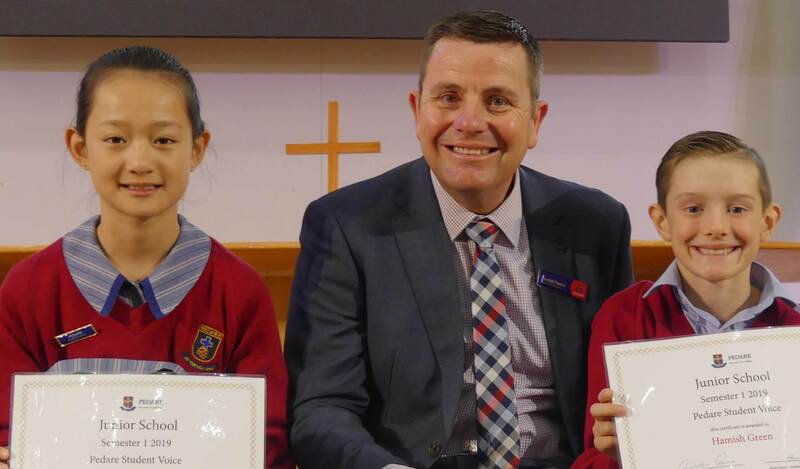 We hope to see many families at the Middle School Information Night on Tuesday 19 February from 7:00pm – 8:30pm. This will be an opportunity to meet your child’s teachers and learn some more details about 2019 opportunities. There will be nibbles, coffee and music provided by our students and we look forward to seeing you there! The year is new. Shoes are shiny, and all the lunchboxes have lids! Everything is bursting with possibility. 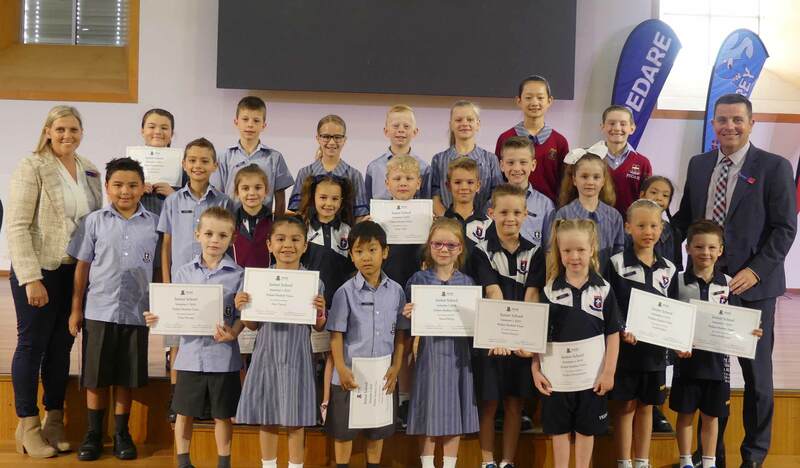 I welcome the 19 new students from Year 1 to 5 and the 51 new Receptions who have joined our community and look forward to getting to know you and working with you and your family. 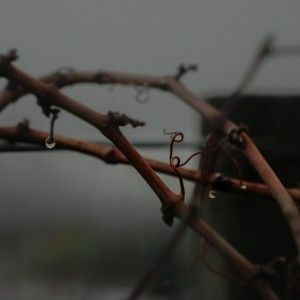 For many of us, the summer break has been an opportunity to think about what is really important – about what we want for ourselves and for our students and about where we are all heading. 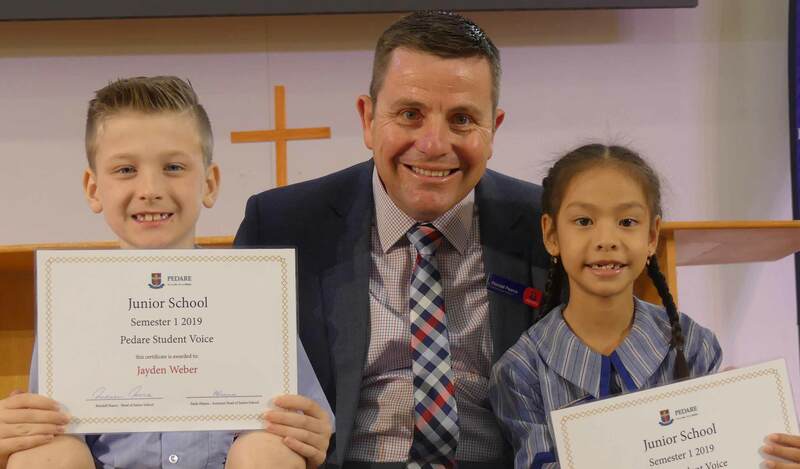 The vision of Pedare has, at its foundation, a deep belief in the potential of our young people, and in teachers’ potential to make a real difference. Our commitment to our own lifelong learning is an important part of making that difference. 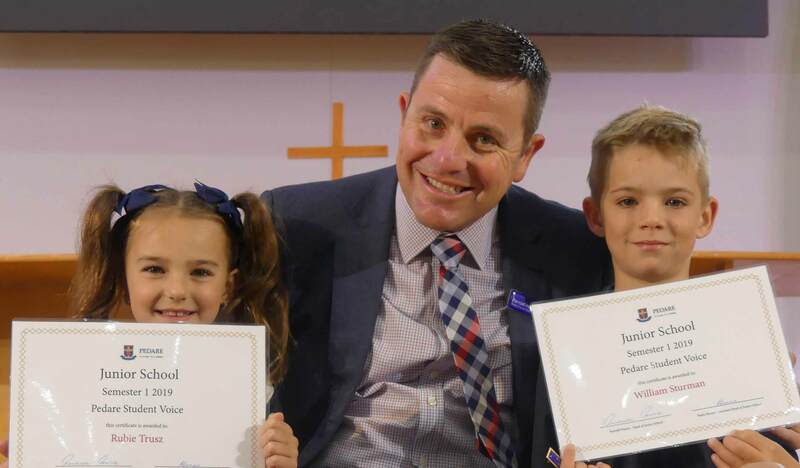 I am proud of the recent efforts of our Junior School staff, in moving the entire Junior School and its contents to our new campus, and in making our temporary classrooms for Reception, Year 1 and Year 5 outstanding learning spaces. Our staff worked tirelessly during very trying conditions with the heat to make sure that Day 1 and Week 1 were amazing for our students. We will continue to monitor, adapt and bring spaces online throughout the term with the hope of being settled very soon. As with such a move, there have been a few teething problems, for example, the bell. This will be rectified once we take ownership of the new buildings, in the meantime, a staff member will continue to ring the old fashioned school bell at 8.35am to signal the opening of classrooms. The other area of concern is Kiss and Drop. Please note that the parallel parking along the temporary fence line is Kiss and Drop and that you must remain with your vehicle. We are looking at new signage along the fence line as well as painting the lines differently so that this area/zone stands out. Can you please pass this information on to other parents and to grandparents who we often see at the end of each school day? 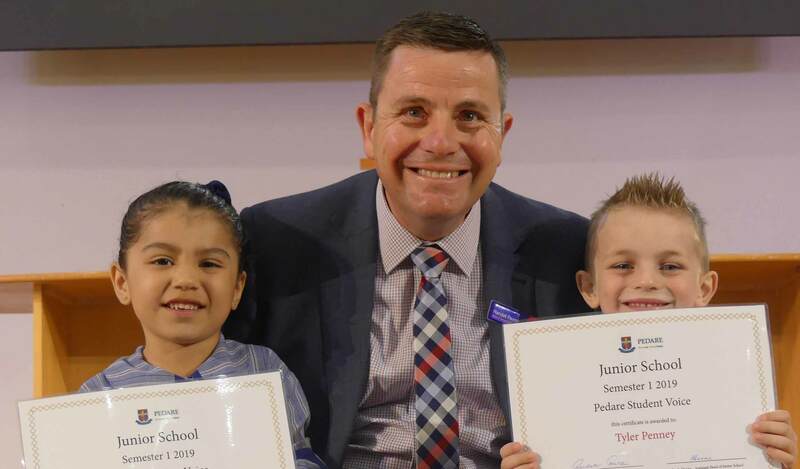 2019 is a year of change and opportunities as we transition into One College, One Campus, indeed it is an exciting time and we are committed as one in the Junior School to continue to provide the warm, caring environment that allows our students to excel. To ensure there is clear communication between school and home, it is extremely important that parents notify the College of any changes to their contact details. As parents know, the College rarely uses traditional post to communicate with parents. Rather, information about day to day matters, extra-curricular activities, events and the fortnightly newsletter The Vine are emailed to parents. In addition, there are a number of situations when we may need to contact a parent (or a designated emergency contact). This may be when a child is ill or injured and needs to be collected from school. Whilst of course the most common reason to contact a parent is to discuss a matter concerning their child. 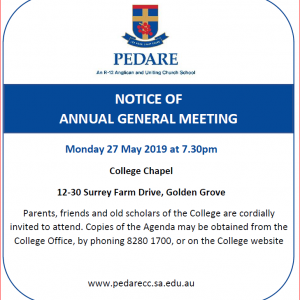 The College needs to record your residential address, mailing address, contact numbers of both parents and preferred email address for communication. If there has been any change in your family circumstances, please ensure that the College has a copy of any Court or Parenting orders. Week 1 in the OSHC room was full of exploration, play, and laughter. OSHC Educators were greeted with smiles and excitement as children arrived to sign-in. The children have enjoyed engaging with activities such as making Moon Sand, necklaces and bracelets, paper crafts and participating in Foosball and Table Tennis matches, to name a few. The OSHC café has been a popular hub for children to meet their needs and spend some time refuelling from a busy school day. It has been a pleasure meeting the OSHC families and getting to know all of the children. 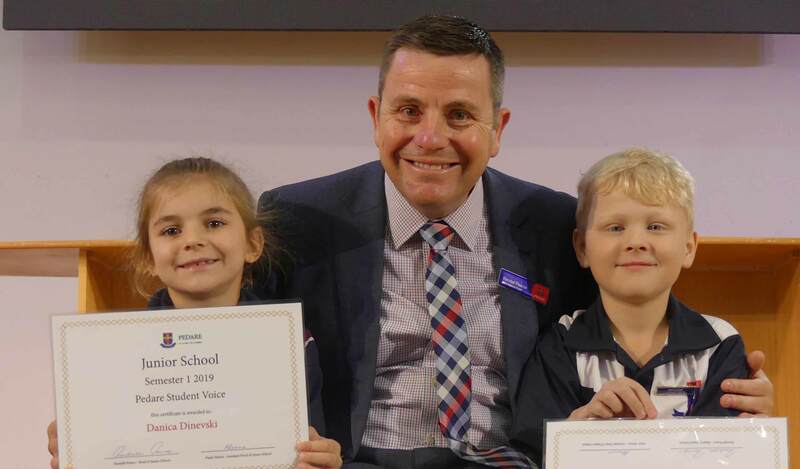 On Friday 8 February, the Junior School officially inducted the Student Voice Council for Semester 1 2019. 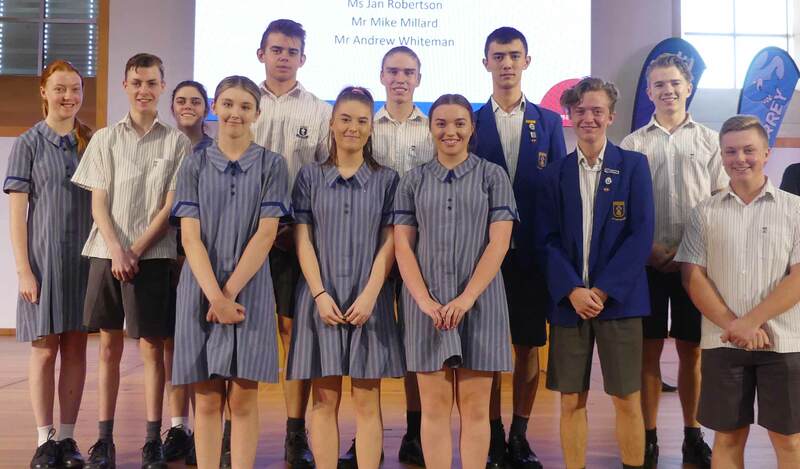 These students were chosen due to their willingness to support and act on behalf of their fellow students. 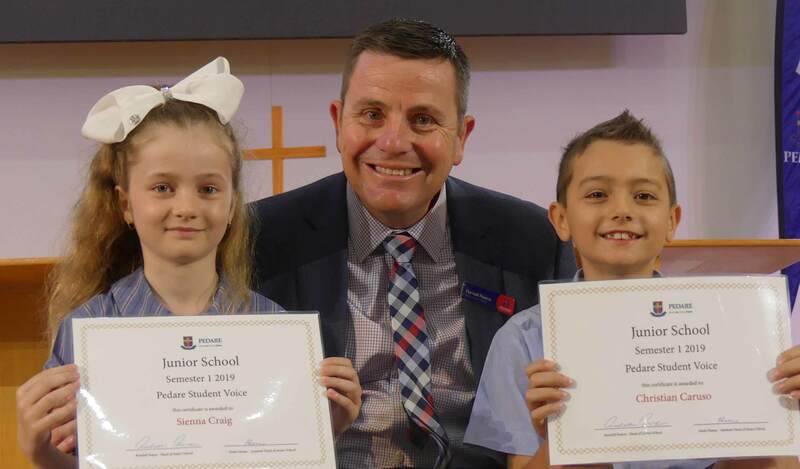 During the assembly, the new SVC Representatives promised to work towards making our school community an even better environment to learn and play, and in return, the Junior School community made a promise to help them in their duties. The high level of Pedare achievement was a further improvement on from the excellent results achieved by the 2017 Year 12 cohort. 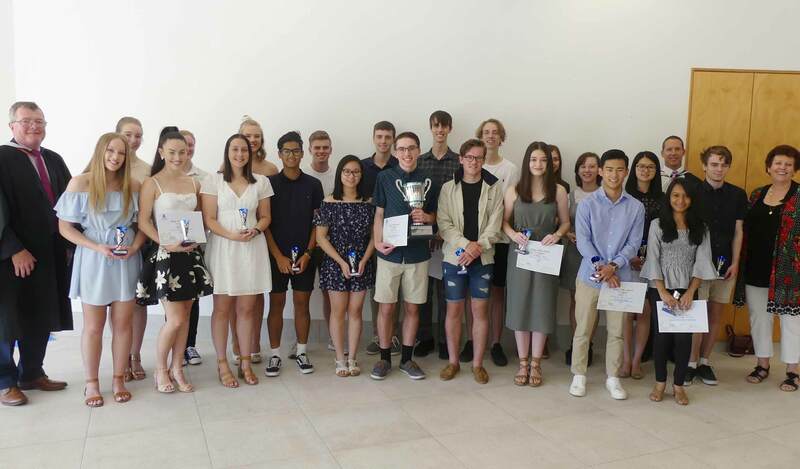 The 2018 students performed extremely well across a broad range of subjects and we recognise that 100% of our students were awarded their SACE certificates and 50% of Pedare students were in the top 19.5% of results state-wide. 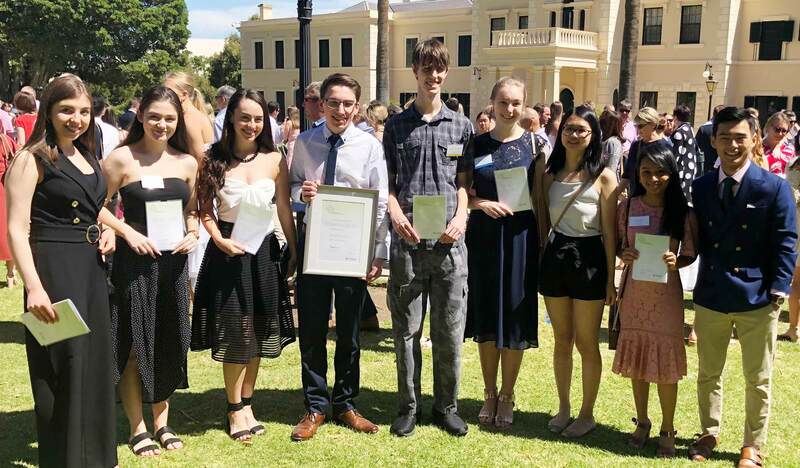 This year, 5 students achieved an ATAR of 99.5 and above, and 23 students will join the 90+ club. 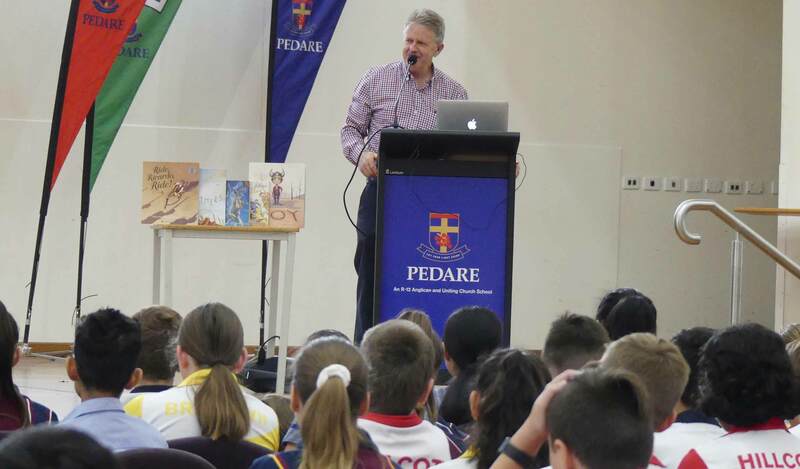 On Wednesday Week 2, Year 7s were fortunate to have an incursion with celebrated South Australian children’s author Phil Cummings. Hang on, let me try that again! 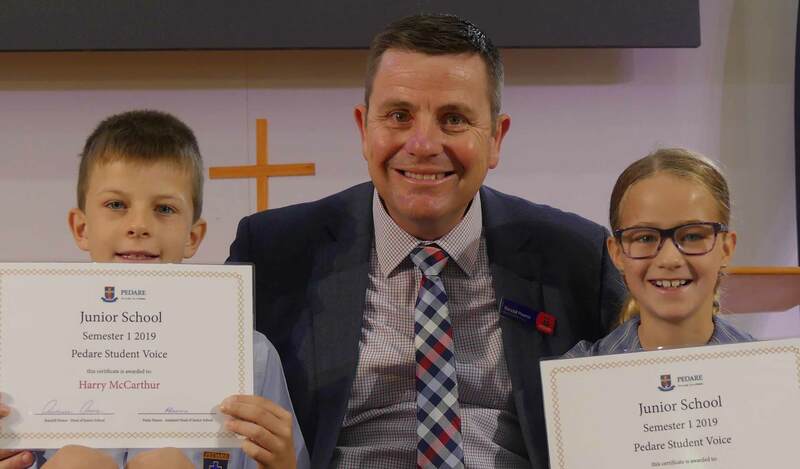 On a warm and humid Wednesday, the excited Year 7s walked quickly to the cool, cavernous Chapel for an incursion with celebrated South Australian children’s author Phil Cummings. Phil began the half-day session by telling some very engaging and entertaining tales from his own life and then describing how he used these experiences to write some of his books. In the Workshop session, Phil told some more stories (all of our students learnt the importance of measuring the rope with which you plan to swing, Tarzan style, across a gully!) and then led some guided writing activities aimed at helping students make their sentences more interesting through the use of descriptive phrases. Students learnt that every one of them has experiences which can be turned into funny, suspenseful or scary stories; and some skills which they can apply to improve their own writing. 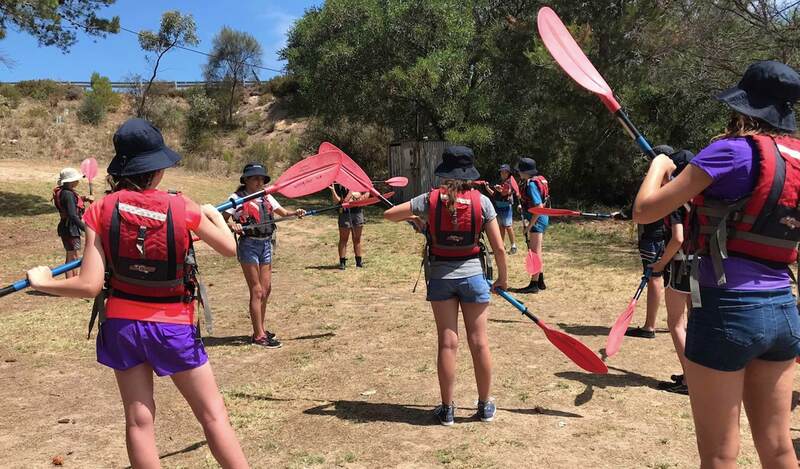 Year 8 students have just spent 3 days at Little Eagle campsite on Hindmarsh Island and surrounding Murray River area. 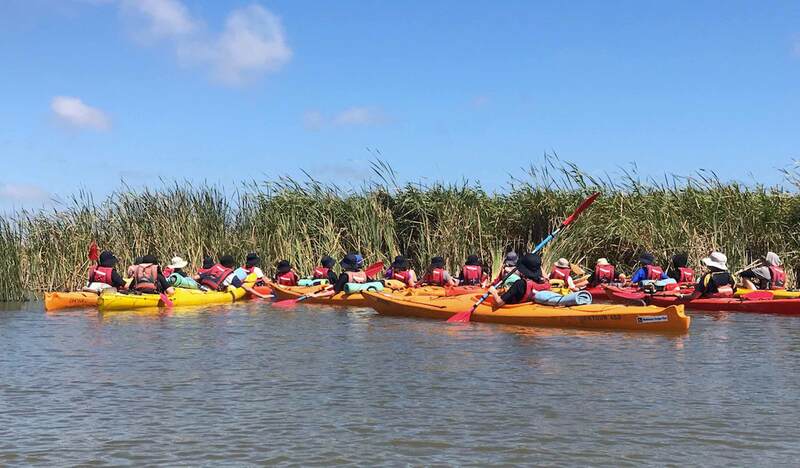 Students have participated in a Kayak journey to the Investigator site on Currency Creek, surfed on Goolwa Beach and built a large group shelter among other activities. The students became balanced as they adapted to new situations and were immersed in activities beyond their comfort zone. 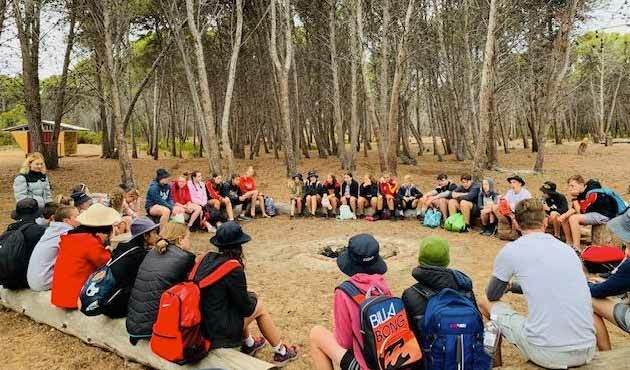 The camp concludes today with students finishing their final activities and one group are returning from their overnight kayaking expedition. We hope that over the weekend all students have the opportunity to be reflective and consider all of their new experiences. 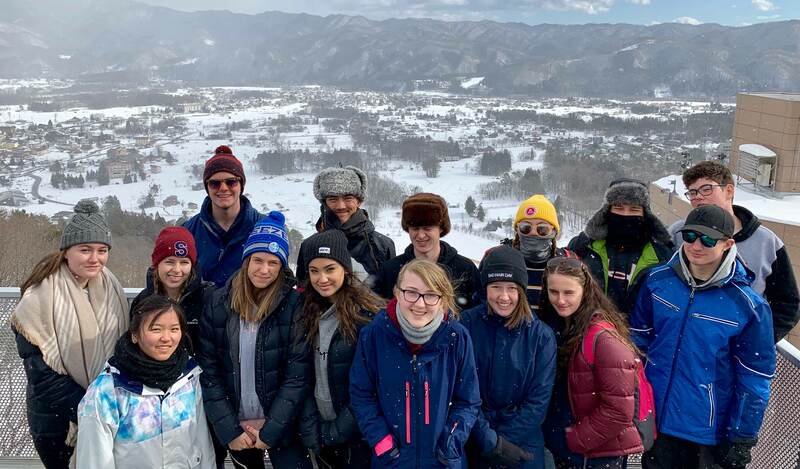 On Saturday 12 January 2019, fifteen Pedare students and staff departed Adelaide to make our way to Tokyo for the inaugural Japan Snow Trip. After much anticipation, students were ready for a big adventure in a country many had never been before! The week started off with a day in Singapore which was a great opportunity for our group to come together and get to know each other whilst enjoying a bit of shopping, culture and delicious food. After another long flight, we finally arrived in Tokyo. Excited for the day to come, we hopped on a bus to make the journey to the mountains. We enjoyed driving through the Japanese countryside and made some stops along the way to experience life in Japan. Arriving in Hakuba was truly spectacular. The snow-capped mountains, incredible scenery and excitement from our students was just amazing. We all couldn’t wait to get out to the slopes to begin our big adventure the next day. 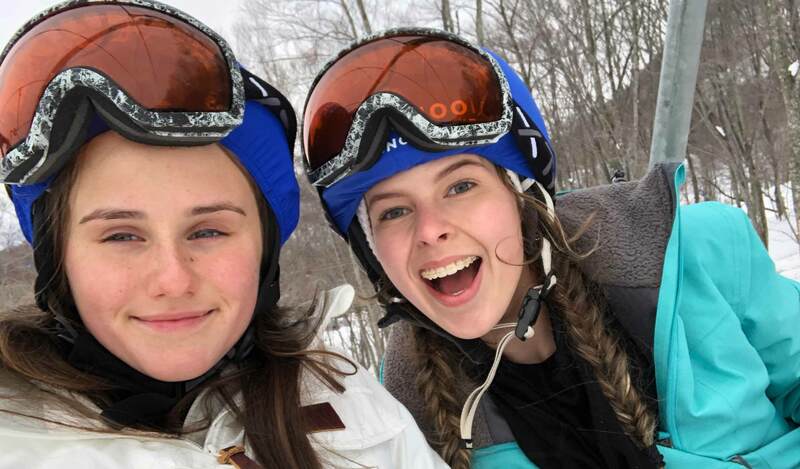 On our first day on the slopes, the students began lessons with professional ski/snowboarding instructors. This gave students the opportunity to master their technique and it was amazing to see how quickly they all developed and improved in their ability to go down some steeper terrain and build their confidence. 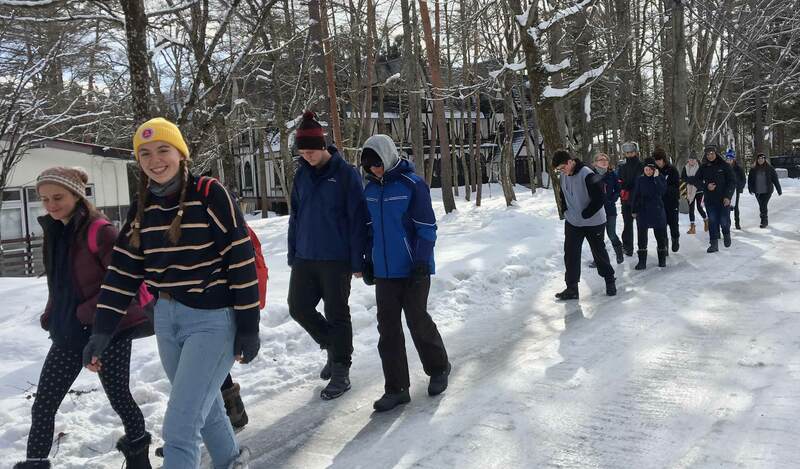 This trip also provided students with an opportunity to develop their leadership and interpersonal skills. 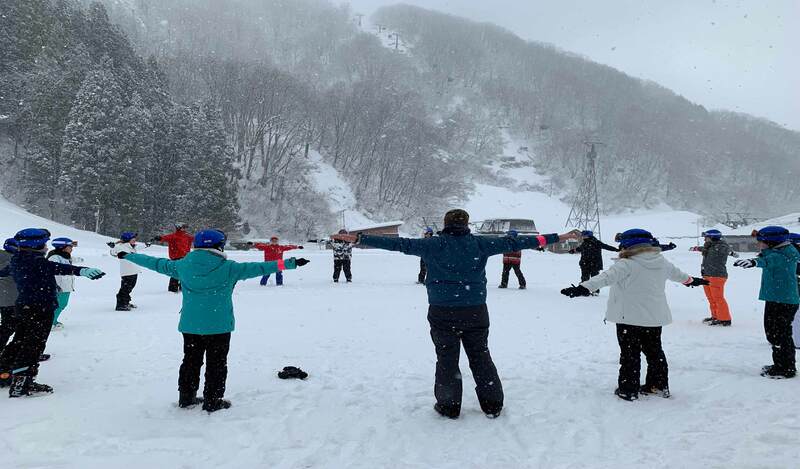 Every student challenged themselves and demonstrated resilience, coping with varied snow conditions to try their best. Our time in Japan involved trying new cuisine, experiencing a new culture, currency, language and customs. We also enjoyed our time as a group, where we played games in the evening and had daily presentations and awards which was always a good laugh! We were so lucky to share such an amazing experience with a fantastic group of students. Every day we felt proud of each of them and all students represented Pedare so beautifully. A huge thank you to Charlie and Vinnie from Snow School Tours and many staff and parents at Pedare who supported this fantastic opportunity. Thank you to School Snow Tours, www.schoolsnowtours.com.au who arranged flexible tour options and coordinated snow tours and ensured our trip was not only a safe one but also a fun and memorable experience. This year, Pedare Cultural Tour of China will be held in Term 4. The tour is a great opportunity for all students at Pedare in Years 8 – 11 (not just language students), to explore China and gain first-hand experience of a foreign and ancient civilisation, their education and contemporary Chinese society as well as broaden the students’ life-skills. Our parent information evening is scheduled on Tuesday 12 Feburary, from 6:00pm – 7:00pm in SF4 (German Room). We have a fantastic program and itinerary to present. An invitation will be sent via email soon and more details will follow. This year, 5 February began the Lunar New Year. This is celebrated by Chinese, Vietnamese, Korean and many other communities throughout the world. In our Chinese classes at Pedare, students have learnt that the Lunar New Year is also known as the Spring Festival. Every year is represented by a zodiac animal sign. This year is the year of the Pig. People born in a year of the Pig possess a genial and accommodating personality and would not harm others, they also often hold unique attitudes and standpoints among their peers and are have super endurance when trying to achieve their goals. Hosting a large banquet for family and friends. Chinese children also receive “lucky money” in red envelopes (红包 aka. hong bao) and household doors are open to let good luck enter on Lunar New Year. Lunar New Year may also include a lantern festival, where people hang decorated lanterns in temples and carry lanterns to an evening parade. This year, Adelaide Festival Centre will run a “Chinese New Year Exhibition” to celebrate Chinese New Year and the cultural connections between Australia and China. The exhibition will be held on 5 – 24 February. The Festival Centre also runs a “Cultural Workshop” on the 10 February, 2:00pm – 4:00pm. There will also be a celebration in Adelaide Chinatown, Gouger Street, Adelaide on Saturday 9 February, starting from 12.00am until 10.00pm. Admission is free and all are welcome to attend. Normally, our OzAsia Club performs at the cultural event, this year we are seeking new participants in the club. If you are interested, please contact the Extra-curricular Admin Officer, Mrs Karen Jarman.